So we have finally reached a point in the annual NHL draft recaps where I can actually remember what happened in the lead-up to the draft itself, as it around 2009 where I started to keep more of an eye on Junior and College Hockey. The complete nerding-out is still a couple more years away, so stay tuned for that one in about 24 months. Back in 2009, I remember TSN trying to convince me that John Tavares was under severe competition in being the first overall pick, which I dismissed immediately as network hype. I still believe that to be the case five years afterwards, but how did the rest of the non Jun Tavarez picks pan out? Well let’s find out. Despite having the presence of Igor Bobkov, this isn’t quite a stelar draft. Though I expect Palmieri to get some more chances with Teemu now calling it a day. I’m still crying over that. Provided that Kane isn’t run out of town by Gary Lawless, this has been a pretty good draft for the Jets franchise. Okay maybe not with the late picks, but who doesn’t love some CIS studs. I completely forgot that Lane MacDermid played in Windsor. Caron’s finally getting a chance to play on a more regular basis for the Bruins, which may prove to be the saving grace for this draft class. Kassian turned into Cody Hodgson and McNabb was dealt for Hudson Fasching in some hot prospect swapping action, so it will be interesting to see how those deals play out in the long-term. The Foligno pick though is pretty good for a fourth rounder. Poor Tim Erixon. Ortio may prove to be the one redeeming factor of this draft class, mainly because he’s a Finnish goalie. Well here’s our clubhouse leader for the worst draft class. Dumoulin was dealt to Pittsburgh for Jordan Staal in the 2012 draft, where shockingly, Ray Shero used the draft pick he gained to grab another bloody defender. More on Shero later. David Pacan got drafted? Kruger was a bloody steal in the fifth round, while both Olsen and Pirri look to be getting the ice time in Florida that they probably weren’t going to get in Chicago. All in all, a pretty good day at the office despite a few missed picks. The best draft class so far by a country mile. Sure O’Reilly might not be around Colorado for much longer given the contract mess, but when you get a top line player in Duchene with the third overall pick, you can’t be too upset if other guys don’t pan out or leave early. Fun fact, in his one CIS season so far, Neuber has put up a better single-year point total than he had during his entire OHL tenure. Moore’s now part of the Rangers back-line after being part of the Gaborik deal, but Savard has prevented this from being a total mess for Columbus. That Scott Glennie pick is looking worse and worse by the day. Other than that though, this is a pretty decent draft for only five picks, especially if McKenzie can build upon a great year in the AHL. Okay, this isn’t quite a vintage Red Wings draft, at this point at least. With that said, the Tatar pick is a really good one for a selection at the very end of the second round. Paajarvi ended up being the forgotten middle child of the three big picks by the Oilers at this point, as he was lumped in between Eberle and Hall. Lander may get a full-time shot at some point, but that Troy Hesketh pick is sure a hot mess. It’s not often that a 14th overall pick ends up sticking in the show right away, but Kulikov has done just that. Drew Shore looks alright as well, so for a Panthers team that has had some tough times in the draft in the past, this may prove to be one of their better classes. In a total shocker, the Kings had another awesome draft. Okay Schenn’s gone, but you have a seventh rounder who has played key minutes over the last couple of years in Nolan, a college stud in Dowd, a super pest in Clifford, and yet another strong scorer in Vey. No wonder this team’s the new benchmark in the NHL. In hindsight, dealing away Nick Leddy for Cam Barker might not have been the best move for the Wild. With that said, Haula and Kuemper have both been great late round selections, and they were able to trade Hackett to bring the Population of Pominville. While the crowd in Montreal was thrilled when Louis LeBlanc was taken, the Habs brass are probably praying that he steps up soon, because the rest of the draft class sure hasn’t, save Dumont. A challenger to the Kings appears, especially with the Smith and Bourque picks. Though to be fair, I’ve loved Ryan Ellis since he played in Windsor, so I’m a tad bit biased. Your prototypical Devils draft, neither amazing nor horrible. Just there. 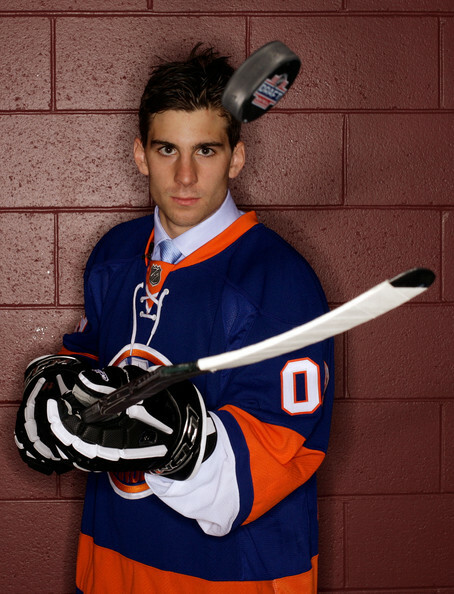 That Tavares guy is pretty good, and this Isles draft was actually pretty solid. Sure, both goalies are now in the KHL full-time, but Cizikas was a good fourth rounder, and Lee might be a steal after his time with Notre Dame and a stellar late season stint. Krieder seems set to be a top forward for the Rangers, and Bourque should eventually get a full-time shot. It’s a shame Werek hasn’t panned out yet though. Hound Power alumni FTW. With Wideman and Hoffman both having strong AHL campaigns, this draft class looks to be a stellar one for the Sens, even though they had trade away Silfverberg in order to get Bobby Ryan. Welp, since Wellwood had to retire, it’s up a to a late seventh round pick to save this draft class. I don’t think I like Philly’s chances. Ekman-Larsson’s a stud on the blueline, and easily makes this draft a success. I’m hoping Mike Lee gets healthy at some point though, as he was a pretty decent goalie for St. Cloud State before Ryan Faragher took over. Hey look, the Penguins drafted two defenders and dealt Hanowski for a rental player. Yippie! Though to be fair, I expect Despres will finally get a long look here before to long with the Penguins. This doesn’t look good at the moment, but I expect the 800 foot tall Doherty will finally get a chance to be in the Sharks before too long. I mean, how long can you let a guy as tall as he is hang around in the minors before he gets the KHL bug. So what if Rundblad didn’t work out, the Blues have an exciting collection of AHLers in the system. What do you mean that’s not good? I said this in a previous OHL draft recap, but how has Zador fallen off the face of the earth? Hedman started a bit slow, but had an awesome 13/14 season that proved his high draft pick. That Panik pick looks pretty solid as well. This is the first Burke draft, which led to the greatest exchange in NHL Draft history. With Kadri seemingly on the block now, this class looks a bit worse off if he’s gone, with D’Amigo the one somewhat impactful talent left in the system. On a side note, Burke seriously selected Barron Smith? I knew that Schroeder was one of the top American players in World Junior history, but I forgot how good his freshman season was with the Golden Gophers prior to being drafted. At this point, it’s up to him to save the draft class for the Canucks, especially since Connauton was dealt for rent-a-player Derek Roy. And to finish things off, we have a pretty decent crop of players for the Capitals. Though how Casavant didn’t catch on with anyone after some pretty good junior numbers is beyond me.